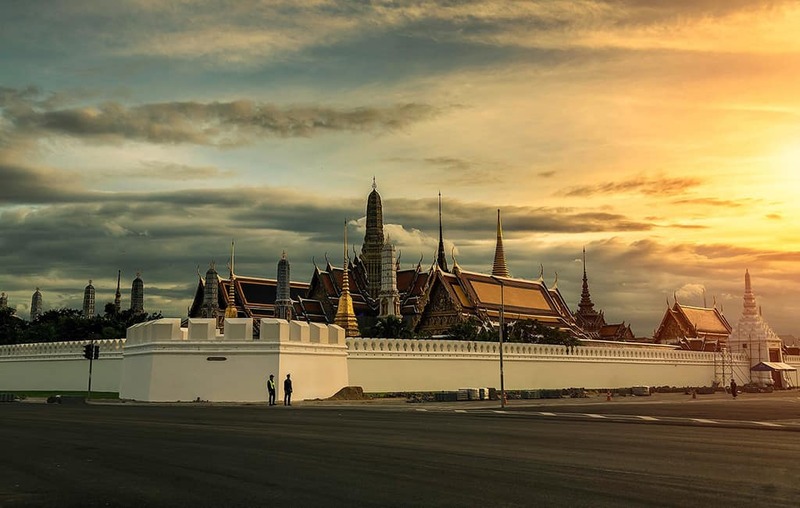 One of the must see attractions of Bangkok, and there are many, is the Grand Palace. Built over 230 years ago during the reign of King Rama 1 and after he relocated the capital from Thonburi to Bangkok, successive kings have added to this structure and today it is probably the most iconic image of Bangkok. 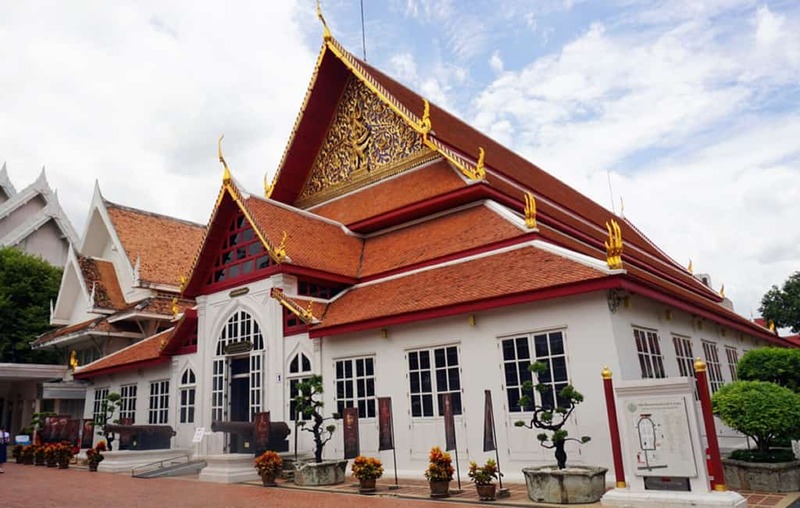 Allow a day to take in the magnificence of this Palace for within the Palace grounds you will see the famous Wat Pra Kaew or The Temple of the Emerald Buddha. This is revered by the Thais as the most sacred temple in Thailand. The Buddha image within the Temple originated in India and is said to bring prosperity to the country in which it resides. Please take note that a strict dress code is enforced at the Grand Palace and visitors must be properly attired before being allowed entry into the Temple. Gentlemen must wear long trousers and shirt with long sleeves (no basketball vests or ‘T-shirts etc.). If you are wearing sandals or open toed shoes you must wear socks. Women must be modestly dressed, no bare shoulders, short skirts or shorts. Near the entrance there is a booth that will provide you with appropriate attire for a small deposit if required. 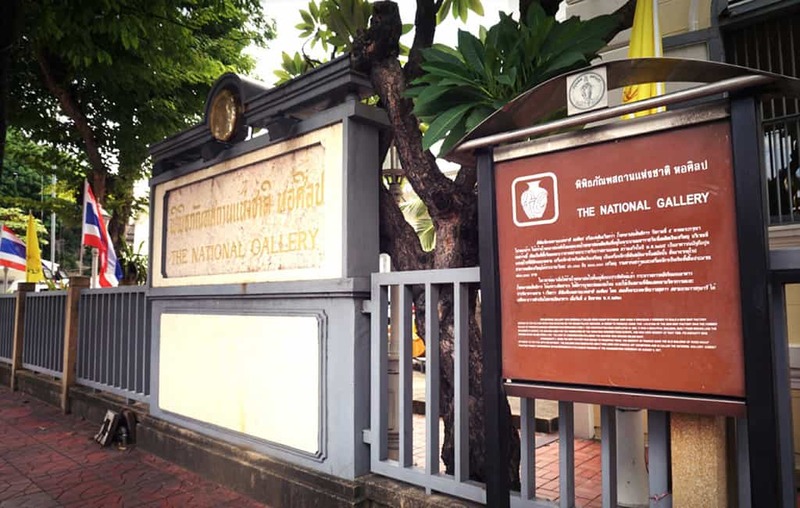 Just a short distance from the Khao San Road and at the north end of Sanam Luang is the National gallery. Housed in what used to be the Royal Mint. The National Galleries main collection is focused on the works of Thai nationals. The collection was begun in the 17th century and has been added to over the years and is now Thailand’s premier art gallery. It is also well worth the effort to visit the more modern exhibits that are to be found in the extensive gardens and special collections building. The museum is easy to locate. Coming from the Old Town you will find it at the opposite end of Sanam Luang (the large park) to the Grand Palace. 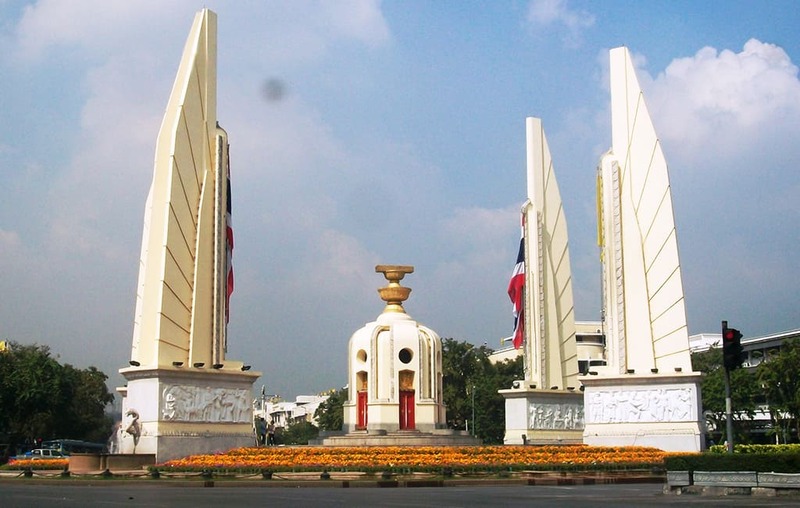 The Democracy monument is located on the Ratchadamnoen Road and is a large Western style symbol of Thailand’s adoption of democracy and liberty. It was commissioned by Field Marshall Plaek Pibulsonggram to commemorate the military coup of 1932 that led to the country’s first democratic constitution in place of absolute rule. It was intended the monument be the equivalent to the Arc de Triomphe a symbol of a newly invigorated Bangkok complete with similar western freedoms. China town is another popular tourist destination always packed with people shopping or trading at the many gold shops. Markets stalls abound selling all manner of goods with an abundance of pavement restaurants vying for your business with freshly made food. For this reason alone make this a ‘place to visit’ while in Bangkok, you won’t be disappointed. 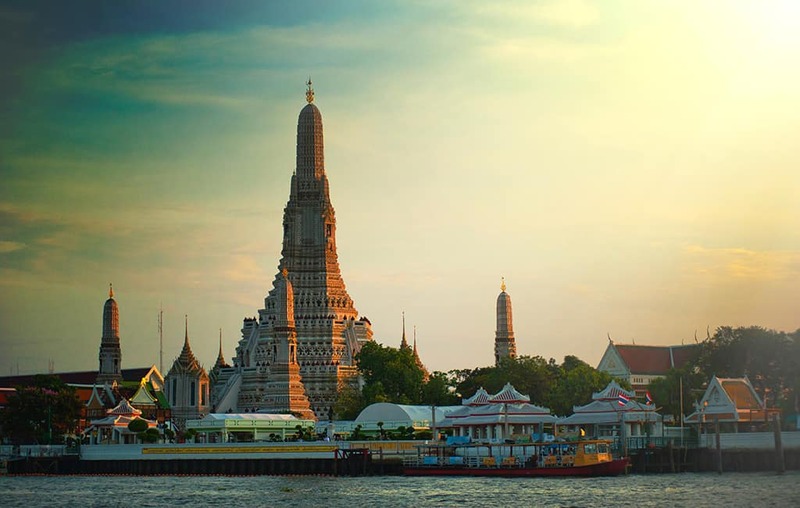 Wat Arun was envisioned by King Taksin in 1768 after a skirmish with the Burmese army. He arrived at this Temple at dawn, hence the name, and soon after had it renovated and renamed it Wat Chaeng. It was the original home of the Emerald Buddha until it was moved to the other side of the river and can now be seen at the Grand Palace. It is recommended that at least an hour is set aside as you will need all of this and probably more to take in this magnificent temple. As a suggestion, why not leave this experience until just before sunset when the full glory of the craftsmanship can be appreciated with the setting sun. The National Museum is home to the largest collection of Thai art and artifacts in the country. Opened by King Rama V it exhibits the many gifts bestowed on him by his Father. Arranged into three areas consistent to Thai history all the exhibits are well organized with English language descriptions. Opening hours are from 09:00 to 16:00 (Wednesday to Sunday) Located NaPhrothat Road, near The Grand Palace. gain. Just about anything and everything can be found here. With over 8,000 stalls to browse you will find; hand crafted ornate furniture bargain basement clothes, mobile phone accessories, jewelry the list goes on and on and don’t be afraid to bargain… it’s expected. Open on Saturdays and Sundays from 09:00 – 18:00hrs. Set on the banks of the Chao Phraya River, Asiatique is a night market/mall combined two of the most popular shopping experiences in the city: a night bazaar and a mall. 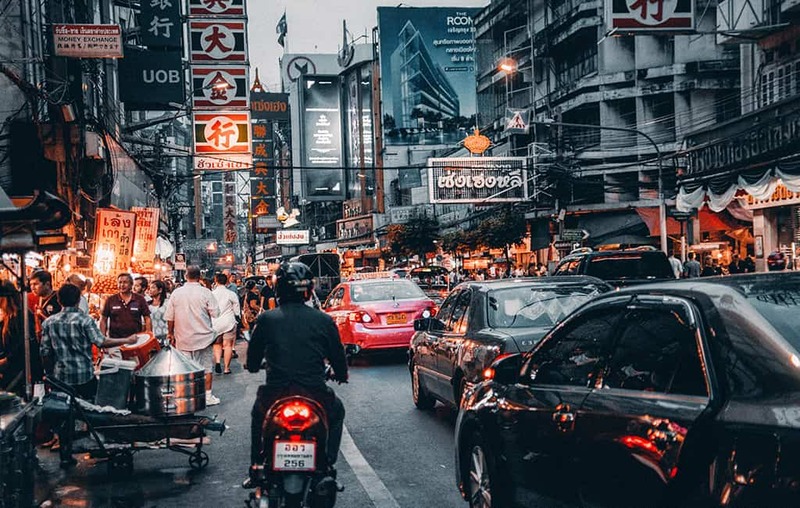 Ten minutes downriver from Saphan Taksin BTS station this once-bustling international trade port has been transformed, with over 1,500 boutiques and 40 restaurants housed under a huge replica warehouse complex. Open from 17:00, spending an evening here is no problem: you’ll have good fun browsing the boutiques, picking up gifts or something for yourself; you are guaranteed to find something you would like to eat and if this isn’t enough entertainment, shows are performed nightly: Calypso ladyboy cabaret and soon, a classic Thai puppets performance. Terminal 21 shopping mall brings the world to your doorstep in the form of an air-port-themed multi-level shopping experience. From Paris to Istanbul to London and beyond you’ll feel like a true-jetsetter wandering the many shops and stalls offering all manner of goods at very attractive prices.